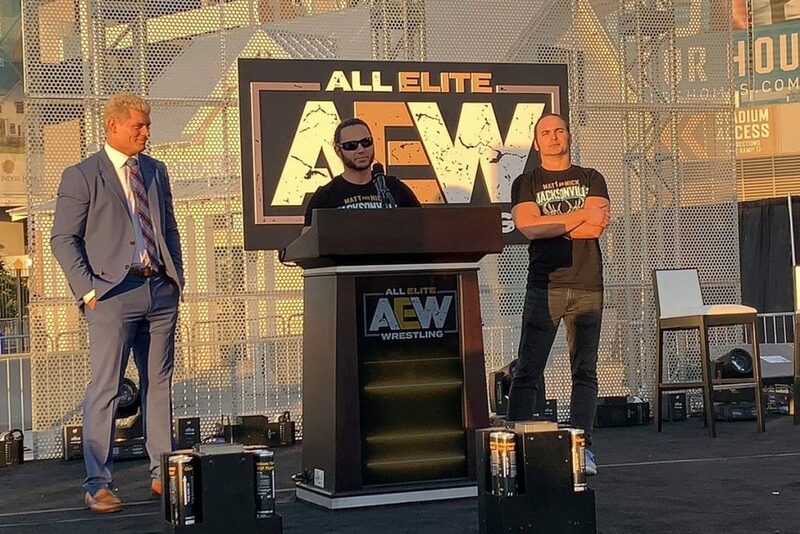 Did the inaugural press conference of AEW on 1/8/19 and ‘Double or Nothing’ ticket release and talent reveal on 2/7/19 give you an excited feeling that seemed a bit similar? Did if feel like you’ve felt it before? Well you did on September 4th, 1995, and if you didn’t then, you certainly have heard about it. In the late summer of 1995 the former National Wrestling Alliance which became World Championship Wrestling changed the face of professional wrestling as the Eric Bischoff led & Ted Turner funded WCW debuted Monday Nitro on the TNT network directly against WWE’s Monday Night RAW which had aired on the USA network to that point since 1993. Wrestling fans, including this writer who was in elementary school at the time, were filled with joy as WWE and WCW were now going head-to-head, and it seemed that it wasn’t just about each company having success, but now was about putting the other company out of business (at least that’s the impression we got from WCW). The face of professional wrestling changed forever that day, and was arguably the best time for the fans in the history of the business. Well, it seems like history may be on the verge of repeating itself as All Elite Wrestling is ready to take the world by storm starting with their debut pay-per-view event ‘Double or Nothing’ May 25th, 2019 live from the MGM Grand in Las Vegas, Nevada (ironically the sight of several WCW events from the past including multiple Halloween Havoc and Clash of the Champions events in the 1990’s). We are about to embark on a wild, fun ride with superstars like the first ever Undisputed Champion Chris Jericho, female wrestlers that are set to take the world by storm like the ultra talented Nyla Rose and Dr. Britt Baker, and the biggest free agent signing anywhere in pro wrestling in quite some time Kenny Omega. AEW is coming and WWE better be ready.